Precision tinted lenses or plastic colour overlays can make all the difference to the symptoms of Visual Stress, find out more. Using coloured plastic overlays and/or precision tinted lenses is a great way to help to remedy Visual Stress and is proven to significantly improve reading speed and accuracy. 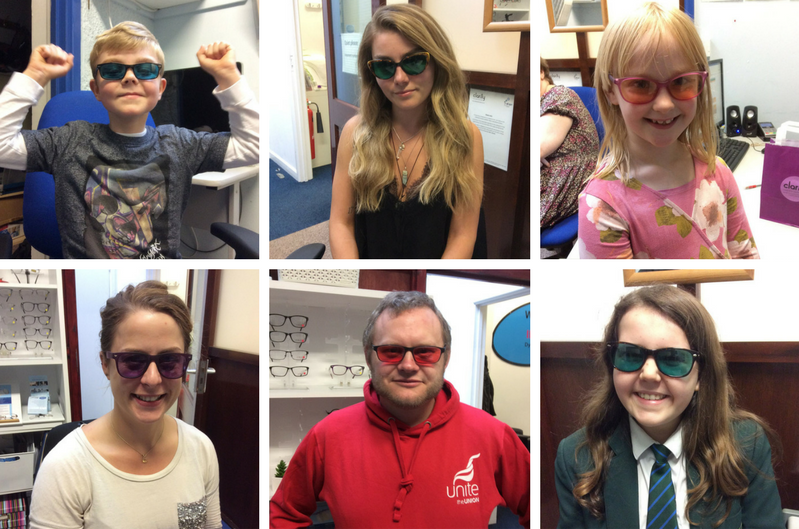 The concept is simple – the science part maybe not – but the process of adding a coloured plastic overlay or tinted lenses selected from a range of colours, and placed over the printed page can have amazing results. Precision tinted lenses are prescribed from the Intuitive Colorimeter and are dyed to a degree of accuracy not normally found in ophthalmic tinting. 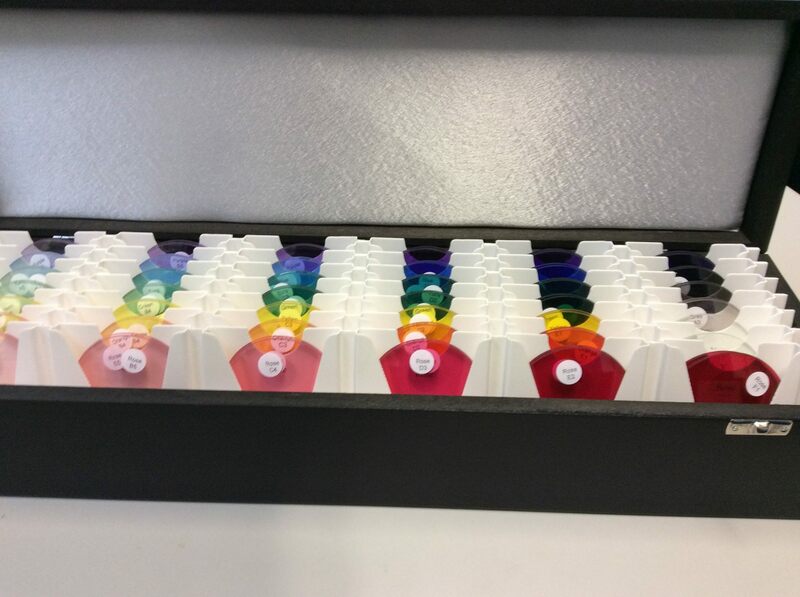 By undergoing an examination with the colorimeter, it helps enable the effects of colour, saturation and brightness to be explored systematically and efficiently whilst the eyes are colour adapted. The shades available enable the tint to be precisely tailored to the individual’s needs. Colour tint can be added to lenses for a refractive prescription (long or short sight etc) so it can be included in the final precision tint prescription. Precision tinted lenses are more convenient when writing, using computers and copying from the board, as overlays cannot be used for these activities. Any improvement in reading speed of above 5% justifies a trial with an overlay, and improvements of over 10% may indicate testing with the Intuitive Colorimeter. So if you experience glare from the page, headaches when reading, eyestrain and tiredness when reading or movement/blurring of print it might be worth being tested. For further information or to book an appointment contact us online or call 01603 766761.